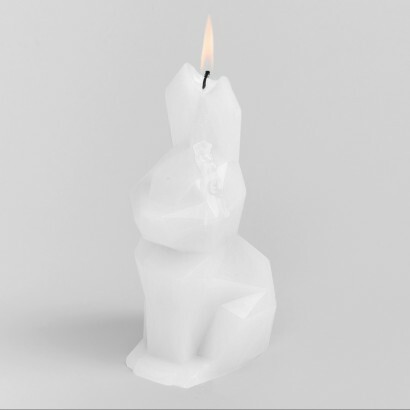 A sweet geometric design bunny candle with a dark secret, light the wick on the Hoppa Pyro Pet candle and the outer wax layer will slowly melt away to reveal a sinister skeleton within! 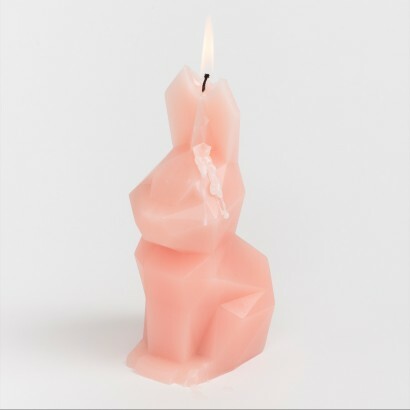 Standing at 17cm tall, this large and impressive candle is available in neutral white or soft peach bringing a warm and fuzzy vibe to your interiors, but light the candle a scorched nightmarish skeleton stares back at you with fire in its eyes! We recommend that you burn your Pyro Pets candle on a Pyropets candle plate to collect the melting wax as it pools around the bottom of the candle. Wax melts away to reveal scorched skeleton inner!